Jalan Peminpin is situated within the region of Bishan. Bishan is a neighborhood that can be seen at the central section of Singapore. It measures approximately three kilometers. The area is primarily filled with HDB flats (three to four roomed units), which are more expensive than other estates, and commercial spaces. Industrial buildings can also be seen in the area. 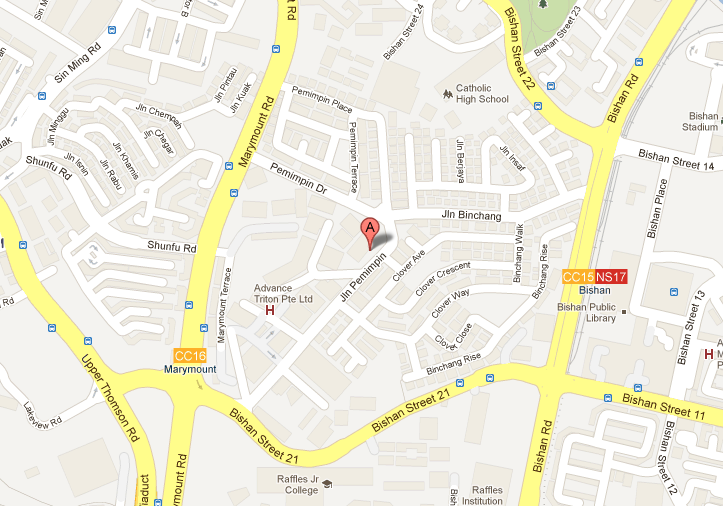 Nearest MRT is Marymount MRT and the closest bus interchange is Bishan Bus Interchange. Amenities in the area include Junction 8, Sin Ming Plaza and Thomson Plaza. Some of the schools close by are Whitley Secondary School, Catholic High School, Raffles Institution, Guangyang Primary School and Marymount Convent Primary School.